Discovery #1: What is the Church? Discovery #2: When was the Church Established? Discovery #3: How was the Church established? Discovery #4: What was the purpose of Miracles? Discovery #5: Who did the early church try to please? Discovery #6: How did the early Christians care for each other? Discovery #7: How did the early church deal with problems? Discovery #8: How did the early church respond to persecution? 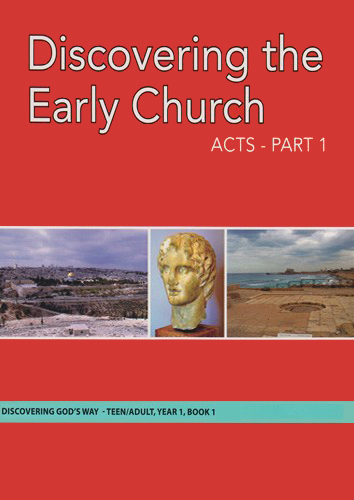 Discovery #9: How did the early church grow? Discovery #10: Is there a place for everyone in the Church? Discovery #11: How did the Gentiles become part of the church? Discovery #12: Does God really care about the church?